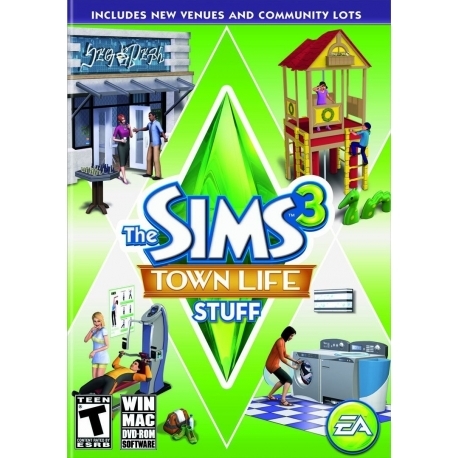 With exciting content never seen before in a Stuff Pack, The Sims™ 3 Town Life Stuff* introduces new venues to give your Sims’ entire town a makeover – complete with objects just as perfect for their homes. 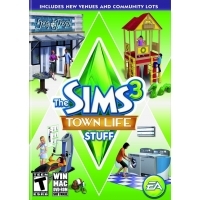 Enhance your Sims’ homes and neighbourhoods with new items and venues! Build a chic new library, create an exclusive, high-tech gym, design a fun playground, or make chores a pleasure with a fresh new laundry room. 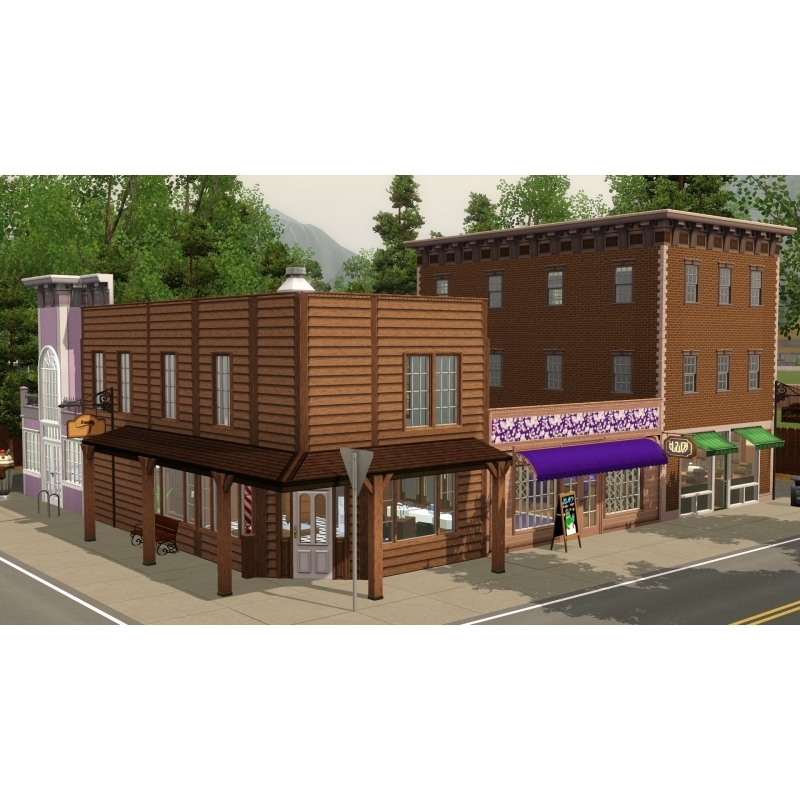 The Sims 3 Town Life Stuff not only gives you loads of new inspired design to use at home, but includes new community places, like Scrumptious Nibbles Café, for your Sims to visit too! 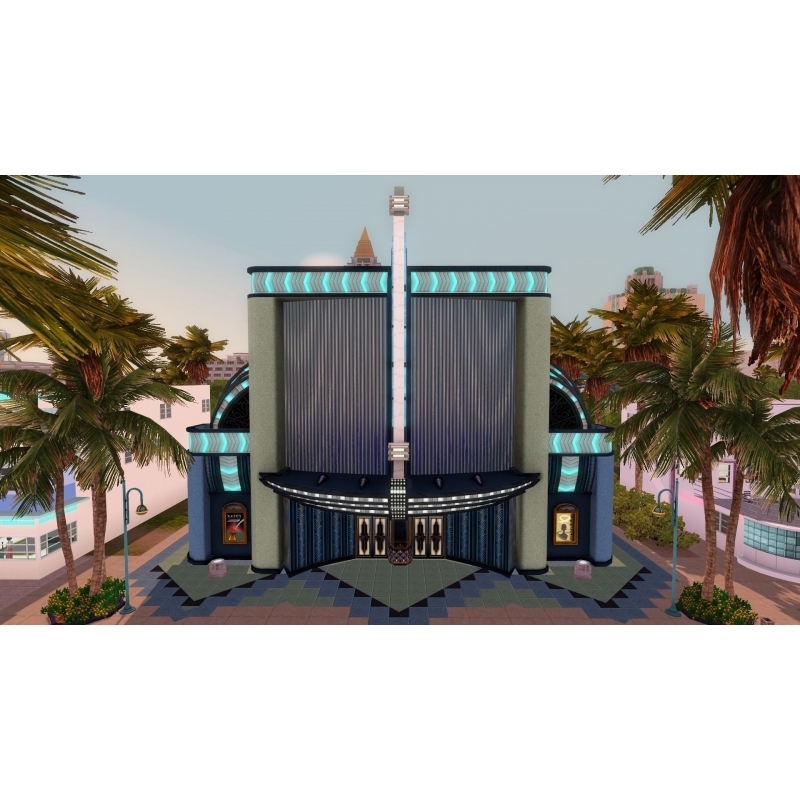 • Pre-Built Venues and Lots - Give your Sims’ town a new look with spectacular ready-to-go venues and community lots—or construct your own cool setting. • Fit and Fresh - Work out with the latest high-tech gym equipment, then clean your sweaty gym clothes in the new state-of-the-art washer and dryer set. 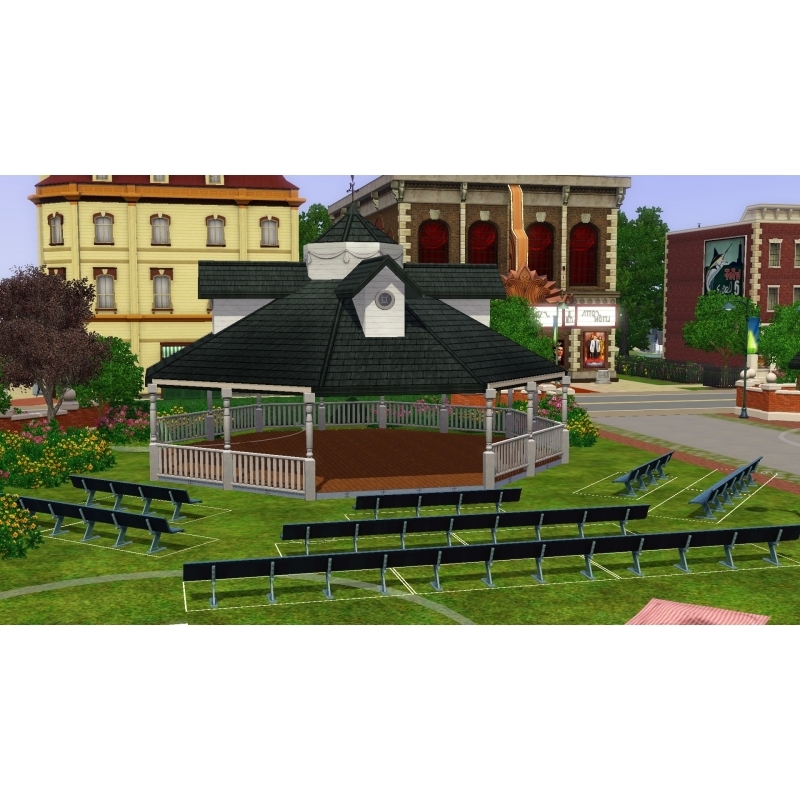 • Time to Unwind - Kids will love the new Sunny Bungalow jungle gym, slide, and sandbox, while grown-ups can play chess by the new fountain. • Study Time or Story Time - Update the library with an elegant array of accessories, build your own study, or create cubicles with specialized sectional seating. • New Casual Outfits and Hairstyles - Clothes for running errands, hanging out, or working out—there are lots of styles for all your Sims’ fashion needs.